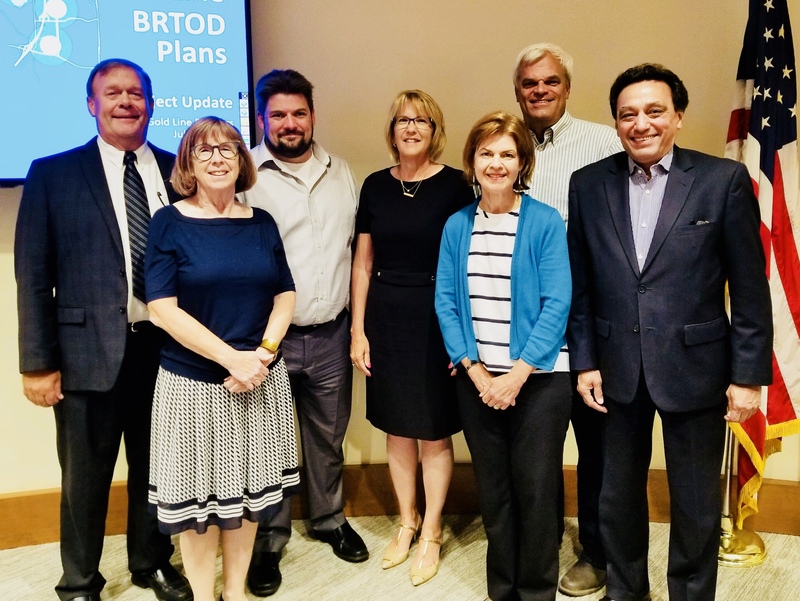 Gold Line Partners, comprised of local elected officials, business and community leaders, brings together people and organizations that support the METRO Gold Line Bus Rapid Transit (BRT) project. Gold Line Partners engages with the public to inform and build support for the project. Gold Line Partners was previously known as the Gateway Corridor Commission. Management of the project transitioned from the Gateway Corridor Commission to the Metropolitan Council in 2017. The Metropolitan Council will be responsible for building and maintaining the line, and work has begun in the areas of design, engineering, environmental and community outreach. The project team includes staff from Metropolitan Council, Ramsey County, Washington County and MnDOT. METRO Gold Line BRT will be Minnesota’s first BRT line to operate primarily within a dedicated busway, and will run between downtown St. Paul to Woodbury. This cost-effective transportation solution is critical to the future development of our region. All-day transit service will stop at multiple stations and include connections to the growing regional transit system. Gold Line Partners will continue to advocate for Gold Line BRT and educate and engage the public around support for the line. Gold Line Partners meet quarterly, on the 2nd Thursday of the month at 4:00 p.m., at the Woodbury City Hall.